When you’re choosing fresh paint for your walls or wooden furniture, after color, the next big decision to be made is that of sheen. Two middle-of-the-road options for paint finish—satin and semi-gloss—are quite popular for being neither too shiny nor too matte. In fact, telling them apart can get somewhat tricky. Both finishes are available in traditional oil-based paints and modern latex paints alike. 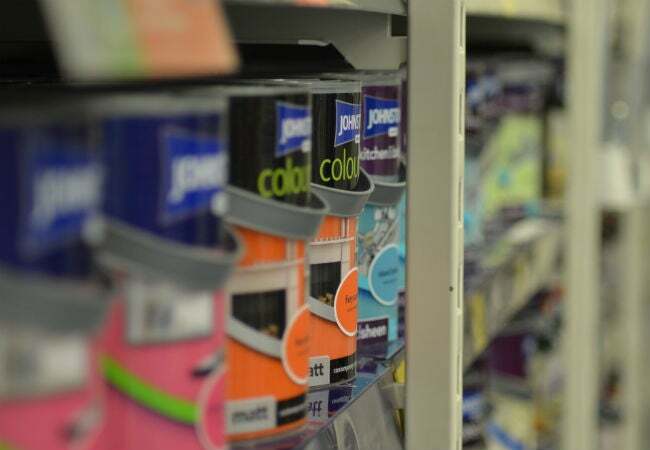 Both are options for cans of paint as well as cans of paint-and-primer combos. The two types of finishes can be found in special latex paints with low- or no-VOC (volatile organic compound) versions. The subtle differences between the two can make one distinctly better fit for your project than another. Read on to see these two popular paint finishes go head to head, satin vs semi-gloss. The following key comparisons can aid you in choosing the one that best suits your next paint project. First things first: Semi-gloss has more sheen than satin. The types of finishes you’ll likely find in most paint collections—ranging from most to least reflective—are glossy/high-gloss, semi-gloss, satin, eggshell, and flat/matte. Semi-gloss is slightly higher on the scale than satin and, thus, promises a little more reflectivity. Semi-gloss’s extra sheen may change how your paint color looks on the wall. While both finishes have a hint of sheen, more light from your lamps or the room’s uncovered windows will bounce off of semi-gloss surface than a satin surface (which actually absorbs some additional light instead). As a result of the way light reflects, the same paint color may appear slightly darker in a semi-gloss finish and slightly lighter in a satin one. So, factor that in when you’re making your final decision about which paint finish to use. Semi-gloss better draws the eye to architectural elements. Generally speaking, cleaning needs aside, satin is the default choice for many do-it-yourselfers refreshing interior walls and furniture, while smaller doses of semi-gloss highlight home features: cabinetry, mantels, stair railing, window trim, door casings, and crown molding. Even if you apply the same color in two different sheens in a room—satin to the walls and semi-gloss to the trim—the reflection will make the craftsmanship of the molding pop. Satin is more forgiving of pre-existing imperfections than semi-gloss. If you’ve got dings and dents in your walls, your cabinets, or your soon-to-be-painted dresser, the reflective nature of semi-gloss will only draw more attention to every flaw. A satin finish is more flattering over pocks, divots, and scrapes since it draws the light in and tricks the eye into seeing a more even surface. So, if you want to deflect attention away from faults and blemishes without spending hours sanding them away, satin is the way to go. The cost between the two is negligible, but you may pay a few cents less on the dollar for satin. Generally speaking, the more gloss a paint offers, the more it will cost. Semi-gloss paint is manufactured with more binders (resins responsible for sheen) than satin paint in order to deliver the reflection and durability for which it’s known. 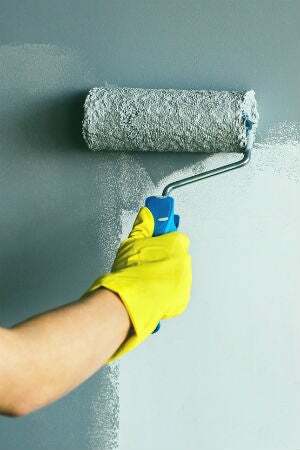 So, if you’re looking to a little bit of money repainting walls throughout the whole home, satin is the most budget-worthy option of the two that still offers a hint of sheen.